With a diameter of 193 metres and an output of 10 megawatts, the SG 10.0-193 DD is one of the world's largest offshore wind turbines. Thanks to the larger rotor blades, which correspond to the dimensions of a football field, the turbine produces 30 percent more energy annually than its predecessor model. A turbine can thus supply around 10,000 average European households with electricity each year. TÜV NORD takes over the type certification of the SG 10.0-193 DD and thus continues the close partnership with Siemens Gamesa. The first prototype is to be installed before the end of this year. For prototype and type certification, TÜV NORD will examine the design of the offshore wind turbine and issue the corresponding certificates if the result is positive. As part of the prototype and type testing campaign, detailed tests and measurements including load validation measurements, safety and functional tests and performance measurements will be carried out. Based on the data obtained, TÜV NORD checks whether the characteristics of the wind turbine correspond to the design evaluation. At the same time, TÜV NORD checks in production monitoring whether the production of the main components and the final assembly of the hub and nacelle of the offshore wind turbine comply with the design requirements and the SGRE specifications and are ready for high-quality series production. 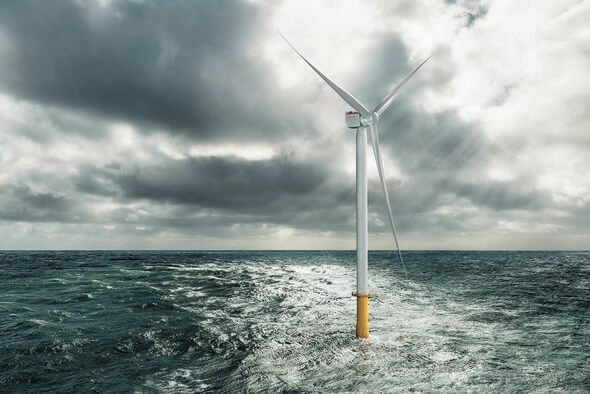 "With the SG 10.0-193 DD, Siemens Gamesa is launching one of the most powerful offshore wind turbines on the market," explains Silvio Konrad, member of the Industrial Service Division Management and responsible for the strategic Energy Business Area. "We are delighted that Siemens Gamesa, following the certification of wind turbines based on the G2 and D3 onshore platforms, is now placing its trust in us to accompany its offshore developments in a spirit of partnership."